If you read my post Divi keeps getting more popular among the Top WordPress Themes of July 9th, you may remember that we left Divi being the #13 most popular theme at that moment, according to the WPThemeDetector statistics used to generate the Top WordPress Themes reports. Two months ago Divi was found on 0.38% of the theme searches performed by the WPTD tool over hundreds of thousands of WordPress sites. By that time Divi had on top of it some tough themes to beat on the 0.40% to 0.50% finds range, such as Twenty Thirteen, Responsive or Twenty Ten. I said on that post that I was pretty sure about Divi reaching still higher than that, at least for several positions. And, sure enough, Divi didn´t disappointed me. Now from here, how high do you think Divi will manage to get? Let us know about your bet via the comments. What’s really impressive is that you’re comparing Divi to not just premium (i.e. paid) themes, but free themes as well (a little unfair). I wonder how it rates compared to *only* premium themes? – Much higher up in the top 10 I’d imagine. I meant to say a little unfair to *Divi* in favor of free themes. Nobody can say your approach is biased towards Divi — just the opposite actually. It couldn´t be biased anyway because it´s just statistics. 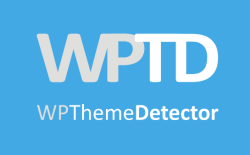 People use the WPTD tool to find out what theme a site they like is using, and that many times it happens to be Divi. That´s people at random from all over the world, and we´re talking about thousand of searches being performed every day. You´ll realize that the popularity of Divi is even greater than it may appear if you take into account that themes like Twenty Ten had been around for a longer time, therefore collecting more historical finds that a theme which is just several months old. By the way, filtering the statistical data is a feature I plan to add to the WPTD statistical reports. I think it is an interesting option, for example being able to compare the popularity of only free or premium themes. 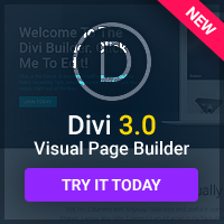 Divi is really amazing WordPress Theme and surely it will stand in Top 10 WordPress Themes as long as ElegantThemes still maintains it.